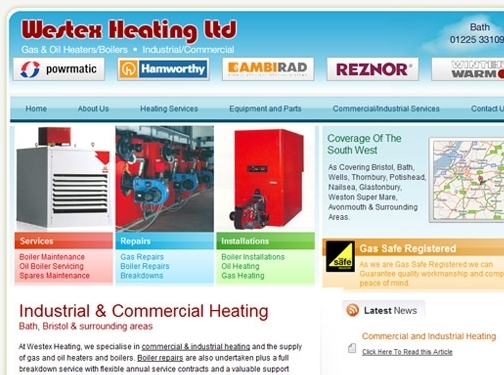 Westex Heating are specialists in boiler repairs in Bristol, Swindon and Bath. They offer a full breakdown service with annual flexible contracts, ensuring your boiler is always covered to the level you want. UK (Bath) based company offering heating installation, services and repairs for industrial and commercial enterprises. Website features list of their services, quick contact form, and full contact details at the footer of each page.